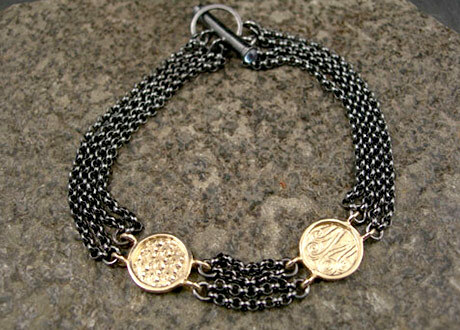 In 2005, the launch of Caroline Pate Jewelry began at a designer’s co-op in New York City. 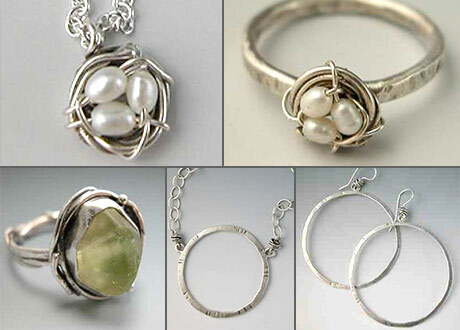 Now residing in Norman, Oklahoma, Caroline has flourished her business of creating handcrafted pieces inspired by the organic shapes and beauty of nature. 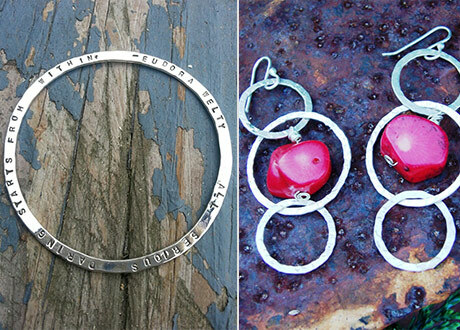 Accomplished jeweler, Dianne Russell handcrafts each custom piece of jewelry. 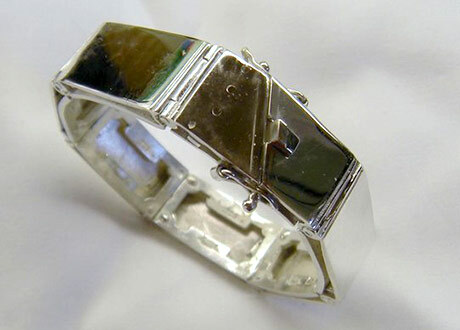 Her clean and architectural design is made using forged silver and then polished to perfection. Jonesy Wood was born and raised in the foothills of the Smoky Mountains in Chattanooga, Tennessee. After graduating from high school in 2000, Jonesy decided that there may be something to learn about life that you can’t find in books. So she packed up her SUV and headed to Aspen, Colorado. A few years of living and working in Aspen inspired her to return to her Southern roots and to open a designer ladies clothing store, “Jonesy’s Upstairs”. Jonesy has a distinct eye for fashion, style and art. 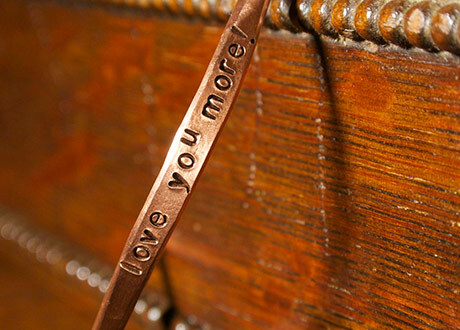 Each piece is hand crafted with precious metals and semi-precious gemstones. 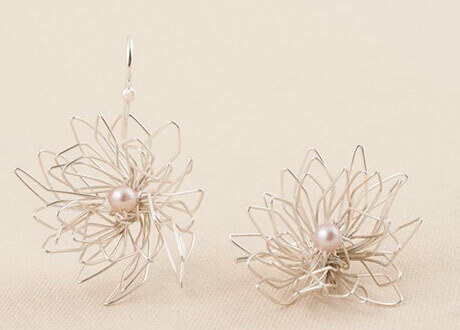 Her designs are simplistic with a touch of nature that brings out the romantic spirit inside every woman. 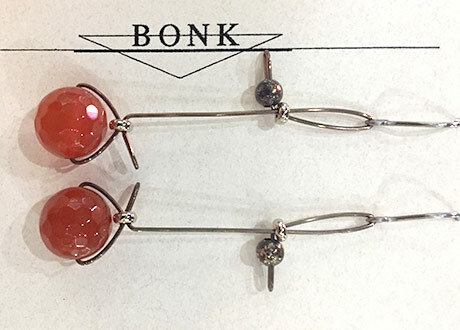 For over 25 years, self-taught artist Sara Bonk has been designing unique, sculptural pieces of wearable art from a variety of materials such as found objects, semi-precious stones, freshwater pearl, glass, wood, plastics and mixed metals. Design has been a natural medium of expression for her as revealed by the essence of beauty, balance and emotion shown in the pieces she creates. 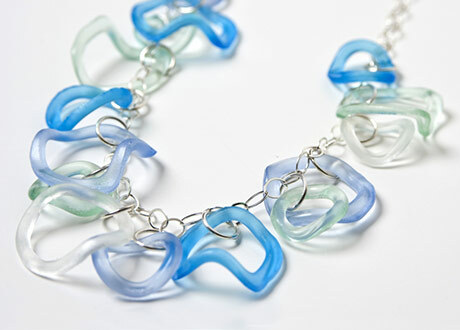 She is inspired by the freedom and spirit of innovation that the creative process brings. 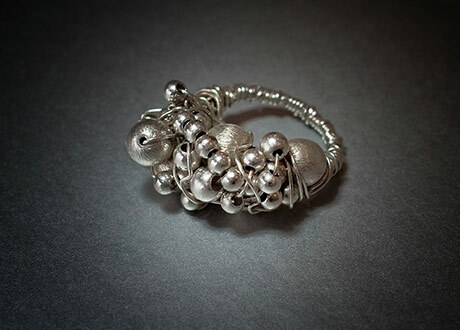 In addition to her jewelry, Sara has enjoyed working in larger format to create sculpture and works on paper. 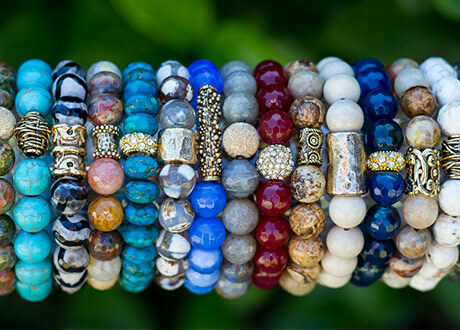 Tallahassee-based jewelry shop, CityRustic Jewelry, is a natural jewelry line featuring accessories in rustic metals and semi-precious gemstone cabochons for an earthy aesthetic. 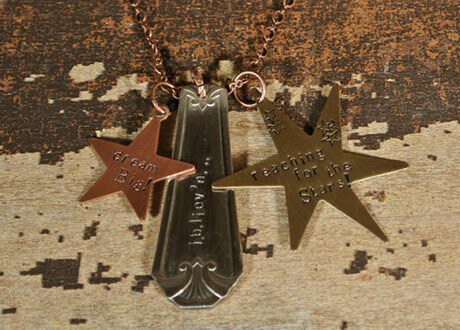 For over 15 years, founder, designer, and metalsmith, Tana McLane’s intricate metalwork and innovate original designs has allowed her to follow her passion of handcrafting jewelry. Sitting high on the Cumberland plateau just outside Chattanooga in the picturesque town of Signal Mountain, TN, Bob Paulson and his late wife fulfilled their dream of establishing a design studio. Each handmade design starts with an idea, color rendering, model etched from wax, and finally, fabrication. Bear Paw works with precious metals and cabbing gemstones from all around the world, emerged from the earth’s greatest depths. Each piece is custom and handmade, for every taste. Christina’s worldly aesthetic is inspired from all five countries where she has lived. Her awarded creations are one of a kind jewelry pieces using layers of semi-precious and precious stones, sterling silver, and vermeil. 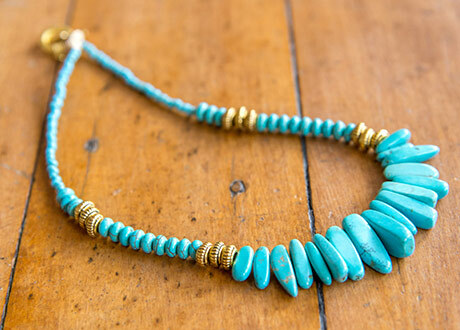 Creating eco-consciously curated jewelry, Madelynn Keene uses only recycled metals, fair trade gemstones, and conflict-free diamonds in each design. 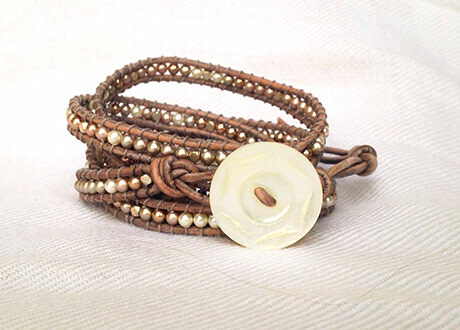 Her bright aesthetic coupled with rough tooled bands, brings out the beauty in both. Away from her studio, you can find her taking a long walk with the family and enjoying a fresh burrito. Or two. 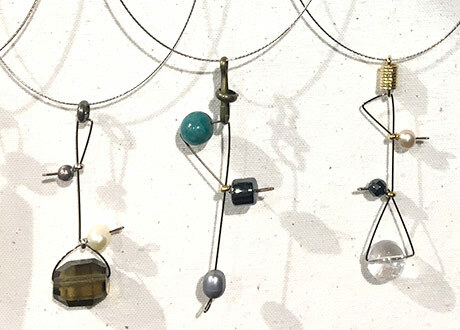 Nestled in an adorable garden cottage, you can find yoga-enthusiast, Kathy Frey in her home studio located in Northern California, crafting sculptural wire jewelry that is carried by over 60 museum boutiques and galleries. 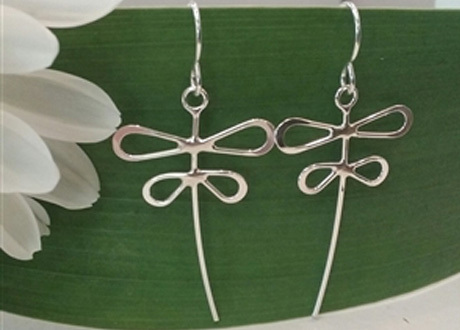 Kathy keeps busy by traveling to 10-15 shows and fairs annually, selling her must-read book, “Elegant Wire Jewelry”, and teaching workshops focusing on innovative design. Simple..Minimal..Uncomplicated. Inspired by yoga. Inspired by nature. 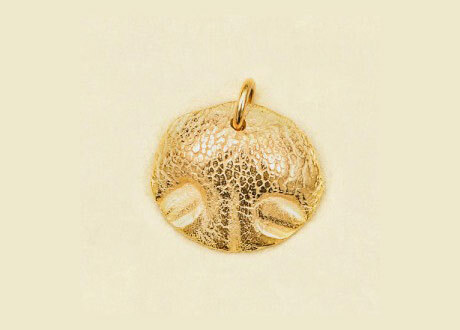 Marsha Brown jewelry is represented by a select group of fine art galleries. Influenced by her “70’s craftsy mom”, Kathleen Plate uses traditional stained glass and soldering methods to create her classic, contemporary designs tailored towards simplicity and easy wear. 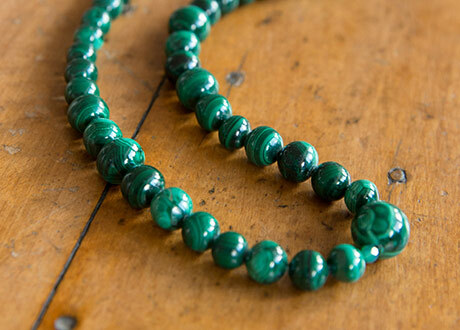 Each piece is individually selected, unique, and one-of-a-kind. 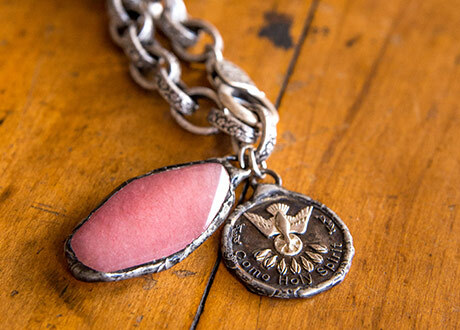 After her successful start, Kathleen’s vibrantly colored, stained glass jewelry and accessories are now sold nationally in more than 500 stores. 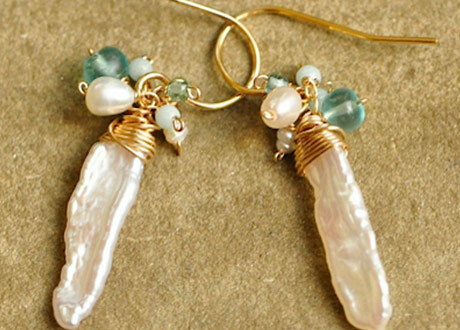 Beautiful hand crafted jewelry makes a one of a kind gift. Designer and owner, Laurie Lenfestey started Bittersweet Designs in 2006. Her original focus on premium quality paper products has since shifted to designing unique, handmade pieces. 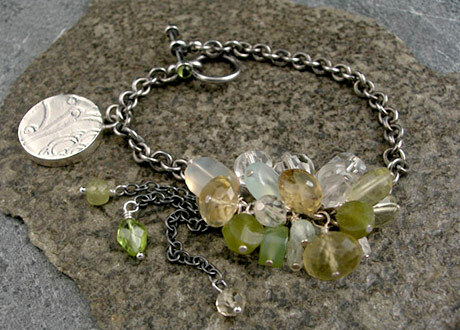 Laurie uses a playful mix of semi-precious stones, vintage Czech glass, freshwater pearls, sterling chains, and vintage glass buttons for an elegant, free-spirited collection. 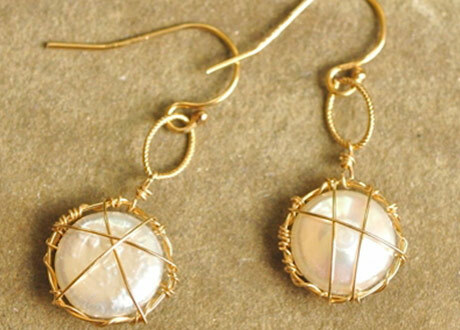 ColeFire Designs is a jewelry line featuring earthy wrap bracelets, delicate earrings, and stunning necklaces. 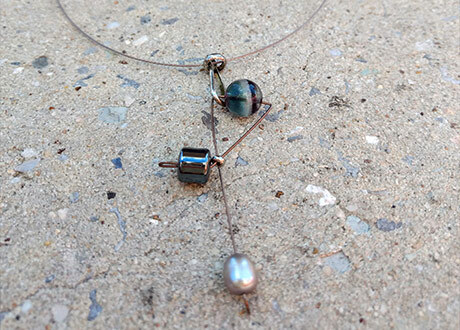 Founder and artisan, Emilie, integrates an industrial element to her handcrafted designs using materials, such as various metals, copper, and gunmetal. 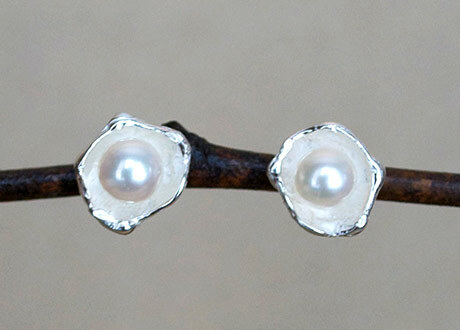 In contrast, most pieces are embellished with a feminine accent of gemstones, freshwater pearls, and natural stones. 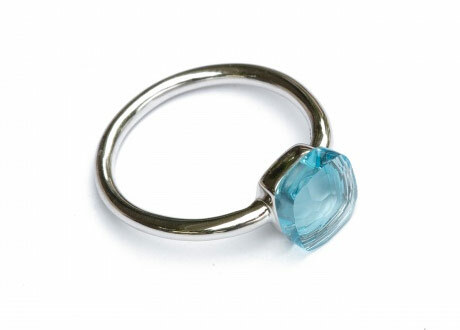 Since 2002, Hazen Jewelry has been dedicated to exquisitely handcrafting colorful and playful jewelry that embodies both timeless elegance and modern sensibility. Young entrepreneur and Houston designer, Taylor Miller crafts her feminine collection for style versatility. 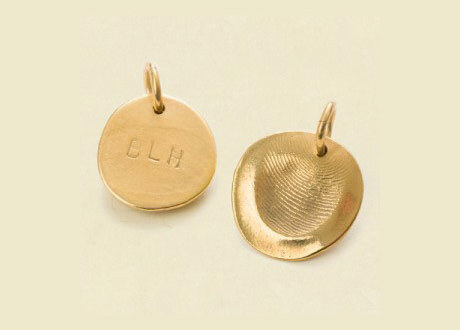 Designed to pair with jeans to little black dress, Hazen Jewelry finishes every outfit with its ease of wear and fashionable presence. 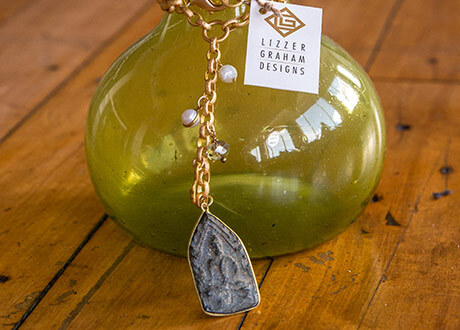 Chattanooga native, Lizzer creates boldly distinctive jewelry, from brightly colored stretch bracelets to sophisticated and elegant necklaces. I live and have raised my family in Franklin, Tennessee. In 1988 I received a Master of Architecture degree from Georgia Tech. After getting my fill of historic preservation and designing custom homes, I felt it was time to make a change. I knew it had to be something creative! One night, I had a unique conversation with my daughters teenage babysitter at a time in her life when she was trying her best to figure herself out. The conversation was all about what it was she truly believed in. Inspired by that conversation and the innate desire to inspire my own three daughters, I trademarked the i.b.liev’n… logo and began creating credos on small canvases. The art, I feel, is in the creative wording as much as in the colorfully covered layered paper canvases. Collectively, my ‘Credos’ touch an array of human emotions…from funny to hopeful and from encouragement to self-confidence. Their purpose is to be fun and inspiring! I believe in and love what I do! 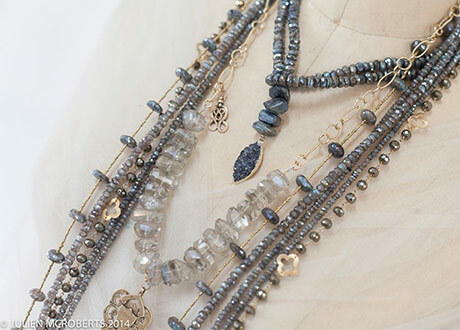 Mixing traditional methods with contemporary elements, Julie Shumaker designs her jewelry for day-to-day wear, ultimate comfort, and the highest quality. 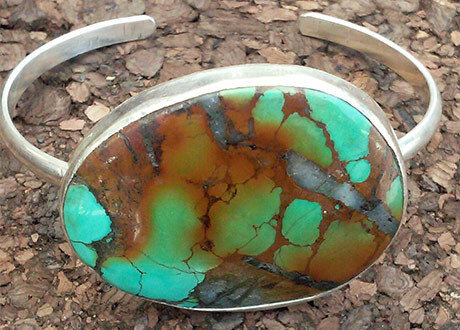 Out of her studio in small town Manhattan, Montana, this metalsmith hand fabricates her soft, earthy aesthetic utilizing sterling silver, antique beads, recycled glass, petrified wood, many more. 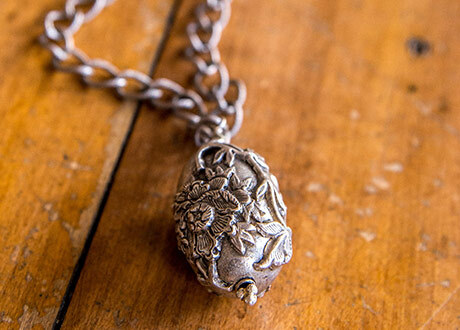 With every twist and hammer, each antiqued accessory offers the unique look and feel of a vintage one-of-a-kind. 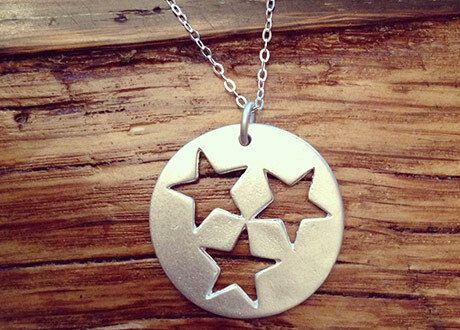 In her home studio in Athens, GA., Cameron Kruse, is a tried and true metalsmith by trade, torch and all. 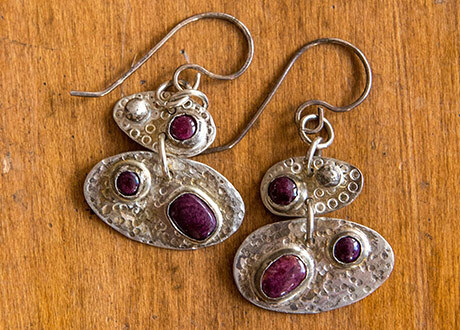 From start to finish, Cameron uses traditional metalsmithing techniques. 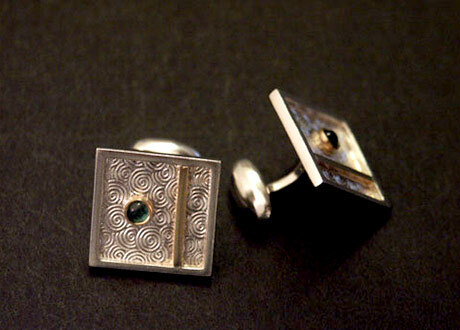 All components are made with sterling silver & gold-filled jewelry metal. 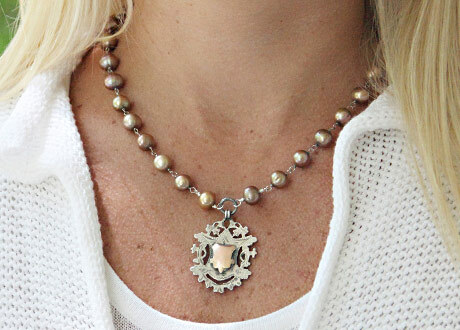 Each lightweight and playful piece is handcrafted, and often adorned with natural stones or freshwater pearls to complete the design. 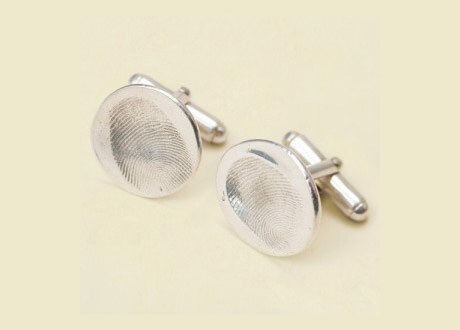 Cameron Kruse Designs are are simple yet elegant, delicate though durable, and artful while remaining approachable – created with the purpose of daily wear, that is the finishing touch to any outfit. 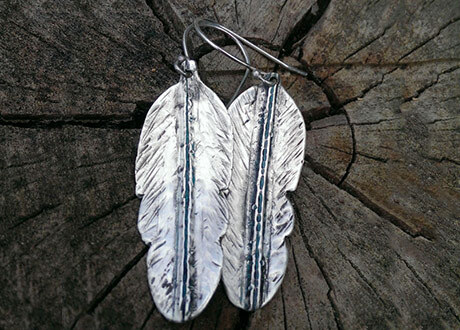 Self-taught metalsmith, Dana Ruth, highlights handcrafted, natural, and raw elements into each piece at her Atlanta studio. Dana’s design, while bold yet understated, allows individual expression for each unique wearer. 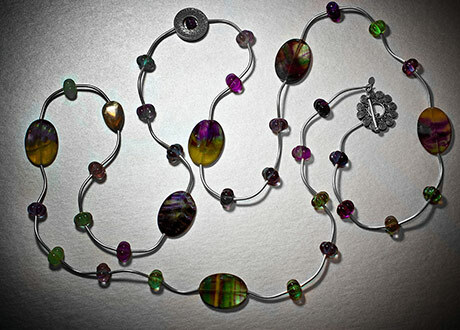 Inspired by nature and light, Heather’s artistry utilizes soldering and hammering techniques to design distinctively organic creations. 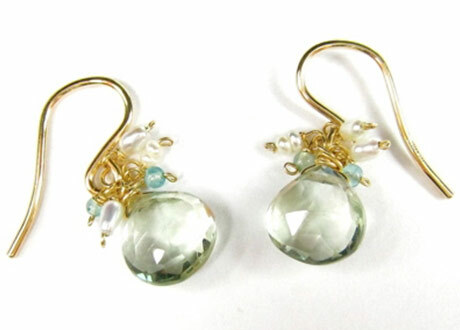 She works closely with fine wire, nesting radiant gemstones, tourmaline minerals, London blue topazes, and aquamarines. 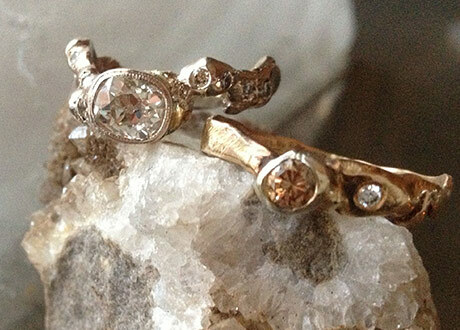 Located in Chattanooga, TN, Linzi Wann Jewelry was founded by Alonzo Jarrett in 2010. 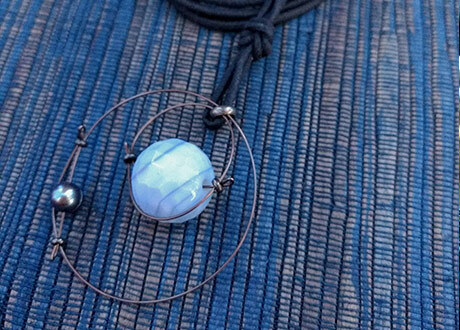 The local online retailer offers both, bold and distinctive jewelry pieces for women. 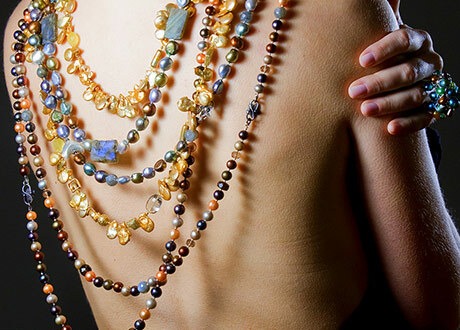 Only genuine materials are used; colorful precious and semi-precious stones, pearls, sterling silver and gold. 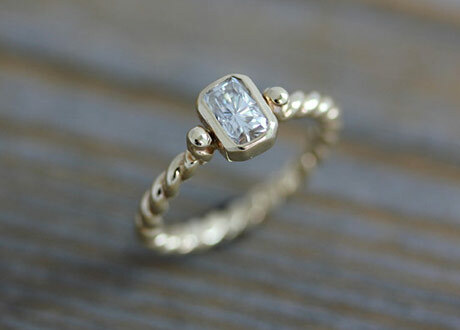 Each design is clean and simple, yet captivating. 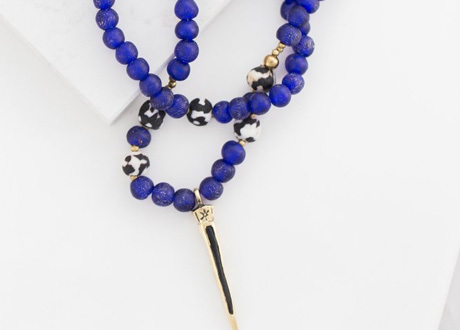 A business started by a soon-to-be grandmother and her expecting daughter, Designer and CEO of Swara, Paula Rukab began handcrafting jewelry using a unique aesthetic of simple and stylish natural gemstone jewelry. Each piece is lightweight, comfortable, and designed for every day wear.